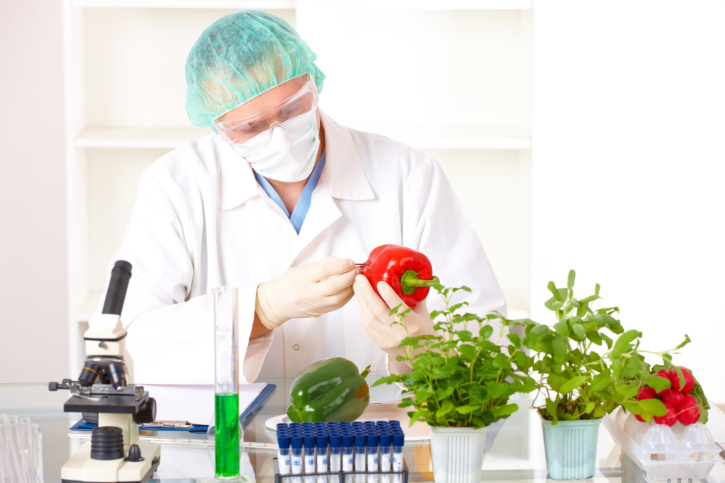 Home » Food and Nutrition » Should You Really Worry About GMOs? Should You Really Worry About GMOs? Genetically modified organisms (GMOs) are one of the most hotly debated yet misunderstood health issues of today. Are GMOs healthy? Are they bad for you? Do you even know when you’re eating one? GMOs are nothing new. Since humans learned how to farm, they’ve been creating GMOs. In fact, practically none of the food you’ve ever eaten exists in a wild state. You’ve likely never eaten an all-natural apple, had wild beef, or tasted wild fruit. If you have, you probably noticed it tasted absolutely nothing like what you’re used to. From a food standpoint, the purpose of GMOs is to fight off disease, avoid pesticide use, and keep food stronger and fresher for longer. Farmers and scientists take genetics from existing organisms and marry them to other organisms to accomplish the goals mentioned above. No nutritional value is lost and sometimes, it’s even added. Furthermore, almost all research on GMOs show they are completely safe for human consumption. People take issue with GMOs today for a number of reasons. One of the most popular is that they find something unnatural about it. But let me remind you that just because it can be done faster in a lab, doesn’t mean it hasn’t been taking place on farmers’ fields since the dawn of civilization. The only difference is that it doesn’t take food modified in a lab an entire season, or even years, to be created. Even your organic and free-range foods are the product of GMOs. These foods have been domesticated for so long and grown a certain way that they no longer resemble their wild counterparts in any way, shape, form, or taste. These items might be free of new antibiotics or crossed genetics, but their genetic codes have been altered from their original natural state somewhere down the line. The point is that you should not be scared of GMOs when it comes to nutrition. GMOs have been around forever and they pose no threat to your health if you eat them. And chances are you’re eating them a lot more than you think. “Neil DeGrasse Tyson on GMO Food,” Neil DeGrasse Tyson YouTube channel, July 14, 2014; https://www.youtube.com/watch?v=1ecT2CaL7NA, last accessed August 5, 2014. “The Eyes of Nye – Genetically Modified Foods,” Bill Nye YouTube channel, June 10, 2014; https://www.youtube.com/watch?v=Ji-VYDwROUg, last accessed August 5, 2014.